Shimano Aero Surf Monofilament Aero Surf is Shimano’s newest surfcasting line and one that is set to get heads turning. Stronger than other lines in its class, the new Aero Surf is a tough line that can take the knocks of casting in big weight situations. It’s also supple, casts well and has a semi-translucent dark color that looks and feels great. 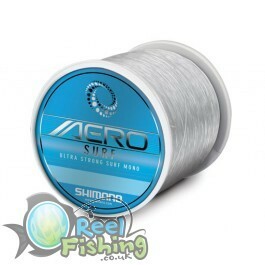 FREE Delivery on all Shimano Monofilament Line over £100!! !